"One of my favorite works was Plato's "Symposium"... and I really liked it because it suggested in that that through love and through beauty we achieve immortality, only because as art [it is] one of the most conscious and honest expressions of ourselves... But if we really put all of our passion into something, it will breathe, like a good sculpture, like a good Michelangelo, or Klimt I love. So what a beautiful thing to make your life your artwork, you know... and to really pull in every experience you want and need and take that kind of conscious control over it." 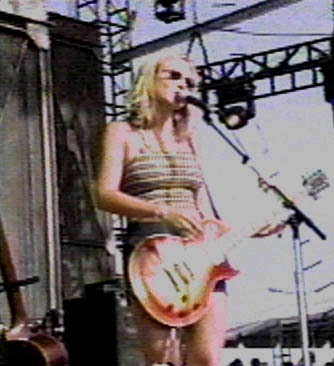 SUPER JEWEL:Jewel performed to the largest audience of her entire career on January 25th when she sang the National Anthem at the 1998 SuperBowl in San Diego. The Bad News: the timing was off and it was obvious that it was a lip-synch performance. Thank you for all the offers to help me out and send me a VHS tape of this since mine was messed up. The Official Superbowl site has a couple clips of Jewel, including an interview. Albert Wang's great Jewel Quotes and QTs has a film of the anthem. In the meantime, there is an RA of this performance already online at the Quiet Warrior Jewel website, which you should be a regular visitor of, if you're not already. VH1 counted the 1997 Top 50 Videos. "You Were Meant For Me" came in at #11, "Foolish Games" was #2. The Blockbuster Entertainment Awards, the largest publicly-voted honors in the music & movie industry, nominated Jewel for Favorite CD Title (Jewel, Spice Girls, Wallflowers). The show will air live from the Pantages Theater in Los Angeles on March 10, 1998, on UPN, 8 - 10 p.m. EST. Jewel was nominated for VH1's Artist of Year. 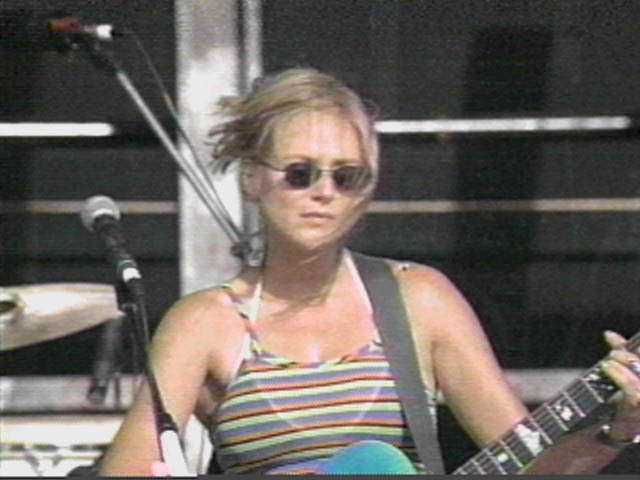 American Music Award nominations were announced with Jewel in two categories: Favorite Female Artist (T. Braxton, C. Dion) & Favorite Album (Matchbox 20, Spice Girls, Wallflowers). Jewel was Best New Artist last year. Watch ABC, January 26, 8pm EST. Details are on the Jewel wire. Jewel got a nom in the People's Choice Awards. More details are on the Jewel wire. Jewel & her mom, Lenedra recorded "Rudolph The Red Nosed Reindeer" ("Rudy" to Jewel) along with The Boys Choir Of Harlem. The CD is called "Tis The Season" and it's on Unencumbered/1027th Street Records Label catalogue number 2304-2. The CD and Cassette are now available in stores. There is also a limited edition double vinyl album version available at 1-800-487-4646. FOX broadcast the Billboard Music Awards. The winners knew in advance so a non-attendant Jewel was shutout and beaten again by Rhimes. David Spade commented about hosting a show that Jewel wasn't a performer (like he hosts a lot of shows?). Billboards Video Music Awards on November 22 named Jewel's Foolish Games "best new artist clip". 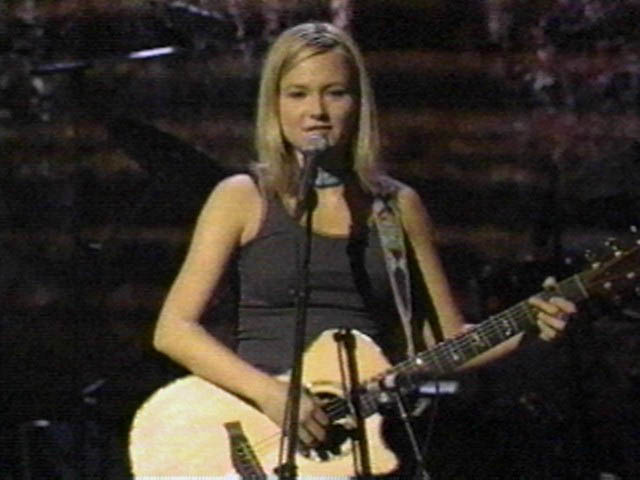 November 16th's Behind The Music on VH1 featured Lilith Fair with a host of interviews, including Jewel. Watch for repeats this week. November 8th's Saturday Night Live did a somewhat harsh but funny sketch parody of Jewel: Jon Lovitz wins a year in an Alaskan cabin with Jewel, who then performs the same songs and tells the same stories over and over, month after month. The JewelStore is now online with all the merchandise you can get your credit cards to grab. Get those numbers ready and dial into Jeweljk.com. There's also some cool photos, both old and new, to ponder upon. A Lilith Fair article on page 65 of the premiere issue of JANE magazine calls Jewel a "whiny coffeehouse wench" but there is a picture amidst this insulting journalism. For those fans looking for Jewels' movie inspiration, "Woe to Live On" by Daniel Woodrell. This title is out of print. It was published by Henry Holt & Co. It's first publication date was originally July 87 with a reprinting in 89. It's ISBN # is 0805002839. Thanks to Tim Celmer. You may want to try used places like Abebooks.com , daniel.interloc.com or blindfold.com. Very fine first editions have been found in the $75-95 range. A single note:The newer printing of the U.S. "You Were Meant For Me" CD single contains another track. Everything else about the CD single is the same with a new blue sticker on the front. The Atlantic Records website has a special feature on Jewel's recent tour of Asia. They have a number of photos from the tour online. Atlantic Records' 50th Anniversary Concerts featuring rock, soul and pop musicians from the label's roster -- including Tori Amos, Phil Collins, Jewel, Wilson Pickett and Crosby, Still and Nash as well as members of the Who and Led Zeppelin -- are tentatively scheduled for mid-March. Publisher Harper Collins handed Jewel a cool $2 Million for her memoirs at the early age of 23. Read more here. Overseas and smiling. Here's Jewel in Sweden. Jewel is in advanced talks to make her feature film debut as the female lead in a Civil War drama called "To Live On." Read the details here. The MTV Video Music Awards have come and gone, leaving Jewel with one silver man for Best Female Video. Although scheduled with "Foolish Games," instead she played "Angel Standing By," an apparent recognition of the sadness surrounding the loss of Diana, Princess of Wales. Jewel and YWMFM had also received noms for Viewer's Choice and Video of the Year. More details on the Jewel Wire. A Lilith Fair double live album? Jewel sings Fleetwood Mac? Catch these expanded stories and more on the Jewel Wire. Lilith Fair is over for Jewel, whose headline tour starts next week. 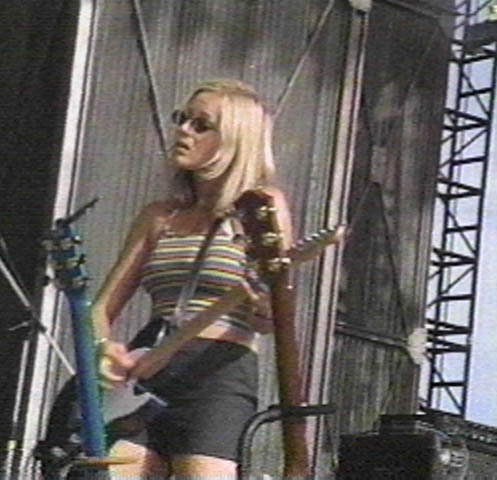 Here's Jewel, playing with hair color in Charlotte. The Elvis Presley Cafe opened with Jewel as the guest performer. Priscilla Presley was quoted as saying: "If Elvis were alive today he would want Jewel to open his cafe. He would have been a great fan of her music." Vinyl fans can catch a re-release of Pieces of You on July 29. A two vinyl record set with five extra tracks! These include new versions of Everything Breaks and Angels Needs A Ride along with previously rare tracks, Rocker Girl, Emily & Cold Song. The Foolish Games video (no Batman) is in a strong rotation on VH1 & MTV, when they play videos. TIME magazine had an interesting choice for it's cover recently. Who? Well, you know who it is. Lilith Fair has begun. 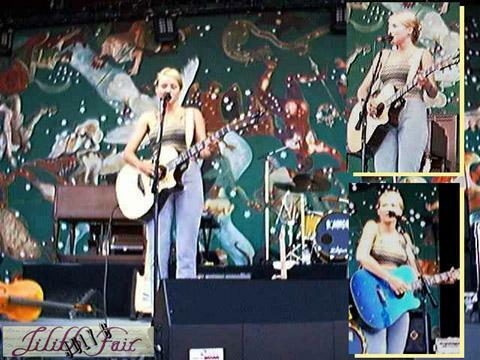 Jewel performed at the opening five shows and rejoined it July 29 in Columbia. Been to a newstand lately? Jewel's saving the covers and pages of more & more publications every month. If you missed these, check the publisher for back issues. TNN held a FarmAid retrospective July 2nd, featuring Jewel ("WWSYS") among many other artists from the event last fall. Did you miss Jewel's April show in San Diego? Catch it again at Atlantics' Digital Arena. Enter from the East, Boy Needs A Bike, Satellite, YWMFM, Down (so long), Foolish Games -- single tempo, WWSYS with jazz ensemble, Last Dance Rodeo, Under the water -- from the Craft, Foolish Games retake, YWMFM retake, Last Dance Rodeo retake, Fragile Flame, Passing Time, Don't, Too Darn Hot (Cole Porter) and Angel Standing By. Jewel performed "Foolish Games" at the MTV Movie Awards. Look for repeat showings on MTV. Most likely on weekends. Is this a compliment? This site got a mention along with Jewel in Yahoo's Internet Life. Hit the newsrack for new issues of Interview, Details, Accoustic Guitar, and Web Magazine. From covers to blurbs, all have Jewel content.